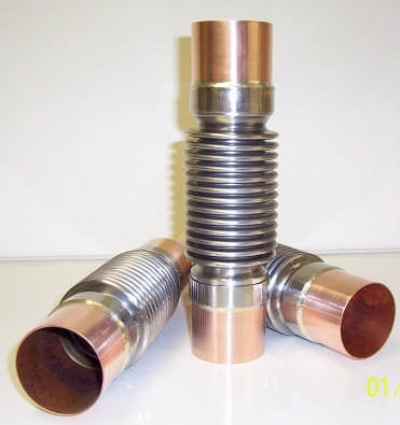 This range of small bore axial expansion joints are specifically designed to absorb the thermal expansion that occurs in hot water and perimeter heating circuits. 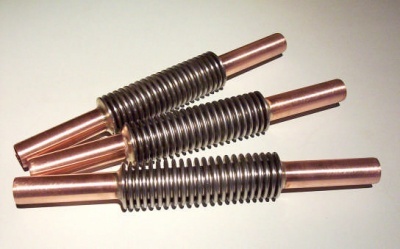 Constructed from 316 stainless steel bellows core with standard plain copper tube ends which can be easily fitted using compression or solder fittings. Each CU6 is supplied factory set to allow for the full 25mm of axial compression eliminating the need for cold pull on site. As an alternative to our standard construction these CU6's can also be made specifically to suit your needs. They can be manufactured to alternative lengths and to suit alternative movements. Please contact our sales for more information.